As part of IDW Publishing’s 20th Anniversary celebrations, we have been treated to a selection of comics featuring a twenty-year jump to show us what the future holds. In this one-shot for the Next Generation franchise the story actually features a jump back to Picard’s early career as captain of the Stargazer. 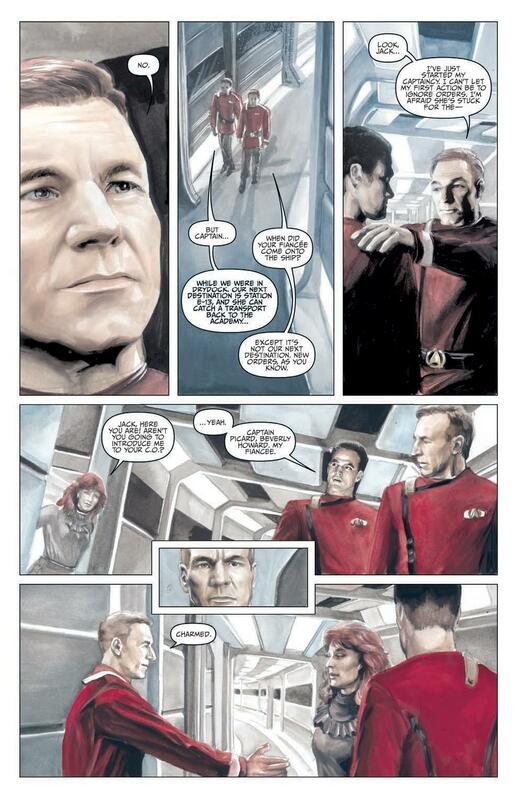 Who was the young(er) Jean-Luc, and what shaped him into the best captain Starfleet has ever seen? Yes there’s some personal bias at play, but Next Gen was the Star Trek I grew up with and Picard for me has always had some of the most memorable scenes; there were four lights! So what’s this 20/20 one shot all about then? 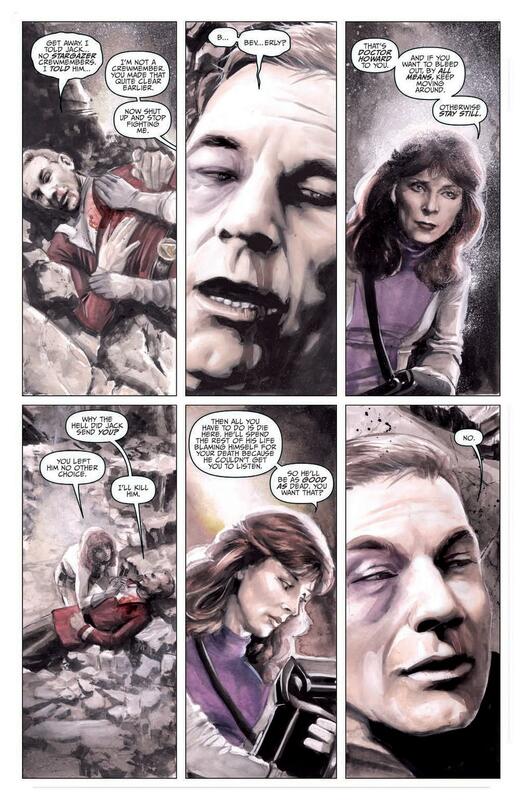 Clearly written for the fans, the traditional cold open sees an injured and younger, Picard (the hair is a dead giveaway) being attended by an equally younger Beverly. 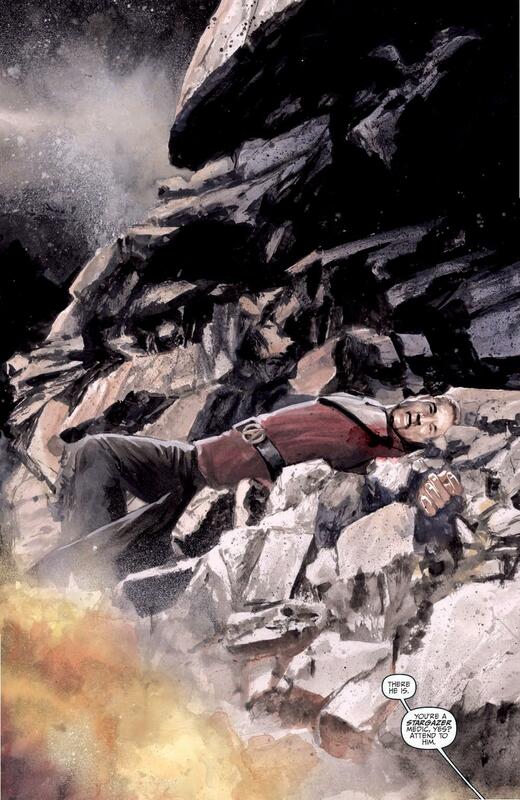 There’s a sharpness to Picard here which, even with his injuries, is more at odds with the established character, revealing someone who isn’t at ease with the obligations of command. Contrary to this, Beverly seems to have always been the quick-witted physician and it’s a nice touch which emphasises the emotional conflicts shaping these well-known individuals. With a snap, cue intro music, we flit back to Picard’s first introduction to Beverly through First Officer Crusher in a less than charming manner, followed by a test of Picard’s diplomatic mettle in true Next Gen fashion. 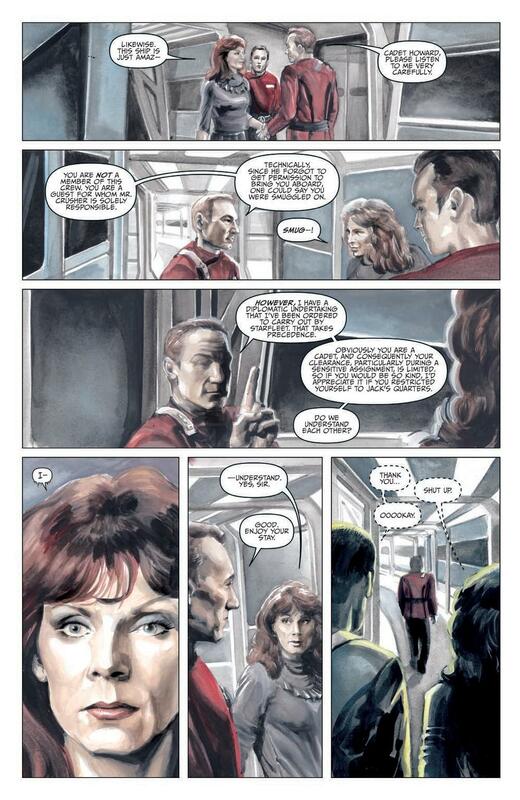 Woodward’s art and watercolour effects work well in the context of this issue. Where Star Trek, both the original series and Next Generation at least, were all optimism and a post-capitalist utopia befitting of bold, bright colours, this flashback story has an air of melancholy and regret that exploits the muted visuals. The characters, obviously based on the established actors, have been captured well although in some panels it appears that preserving likeness or expression has taken precedence over the flow of the action. That said, the look of the uniforms, tech and nods to common species that didn’t get air time due to make-up costs are lovely and full of flavour. Creating extended stories to fit established canonical work must be a real poisoned chalice. You get the opportunity to depict or speak through characters in a way you want, exploring scenarios of your devising, whilst running the knife-edge of accepting that you can’t please everyone all of the time. Without going too much into that particular ever raging debate, I think it’s safe to say that, for me at least, the team here have nailed it. It’s not a specific look or style of narration that can be pinpointed, rather a ‘feel’ which takes me back to rushing off after dinner to catch the latest episode. In light of this being a one-shot, it does well to cram in as much as it does, but, somewhat understandably, doesn’t have the opportunity to dwell on the formative experiences being shown. 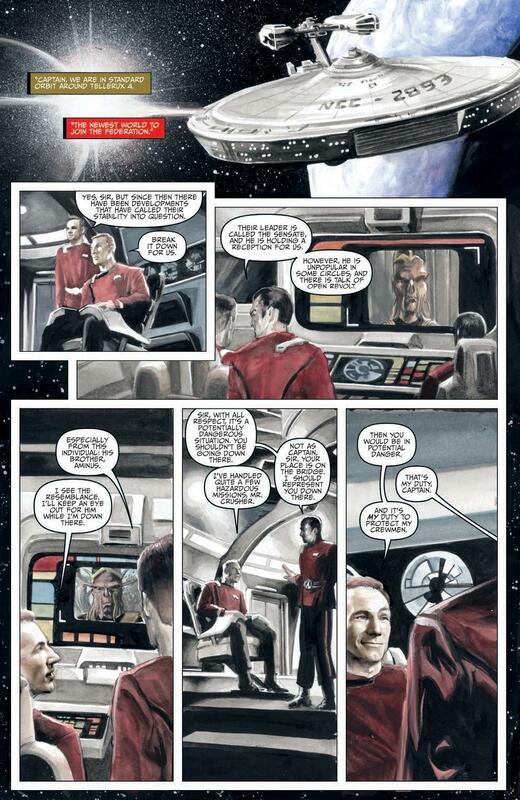 Admittedly I haven’t read a huge wealth of Trek comics, but I’d happily pick up more of this particular thread, although there’s a niggling concern that warm, fuzzy nostalgia is playing an important role here. 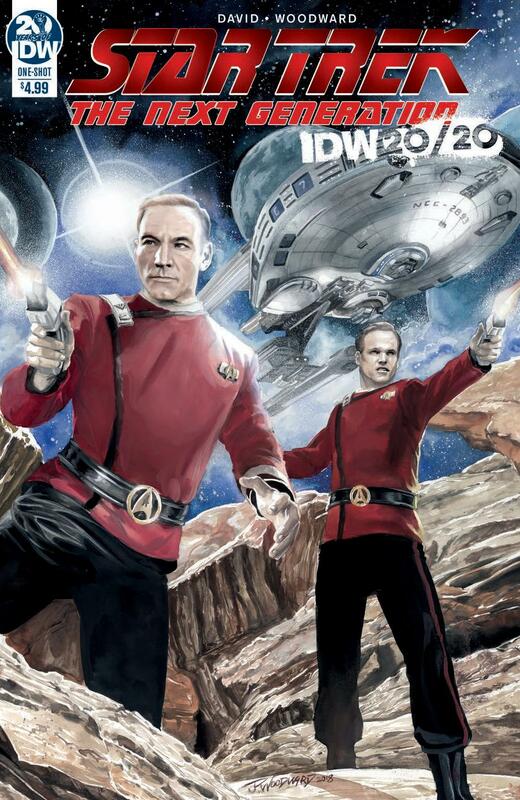 For any fans of Trek, you’ll want to give this a look. Go on; make it so.